During a difficult time, providing an easy-to-prepare, comforting brunch can be especially helpful. 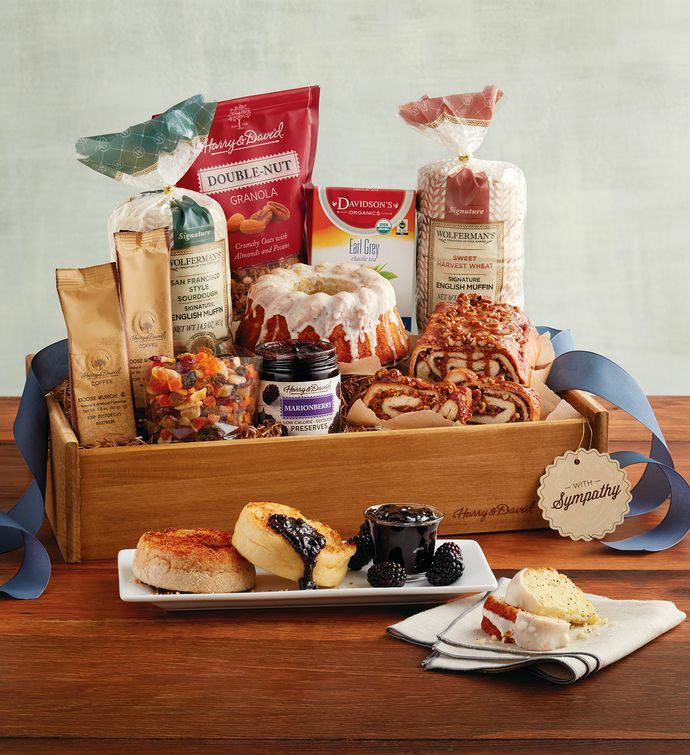 This gift includes enough treats for a meal, featuring our popular cinnamon swirl, Wolferman's® English Muffins, marionberry preserves, and heartwarming Earl Grey Tea and Moose Munch® Coffee to serve alongside them. A With Sympathy tag is attached to the wooden serving tray.